Fire has played a significant role in the shaping of the natural environments of the Inland Northwest. 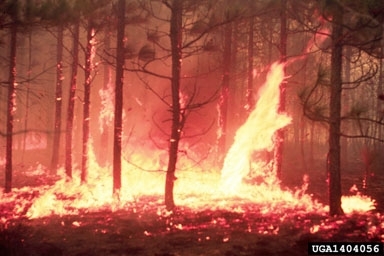 However, years of fire suppression has resulted in forests with unnaturally high fuel loads that increase the potential for large, catastrophic wildfires. An increasing number of individuals and communities are living within these fire-prone environments,the so-called woodland/urban interface. In order for us to live more safely in these areas, homeowners and landowners alike can increase the survival of people and property by taking some preventative measures.